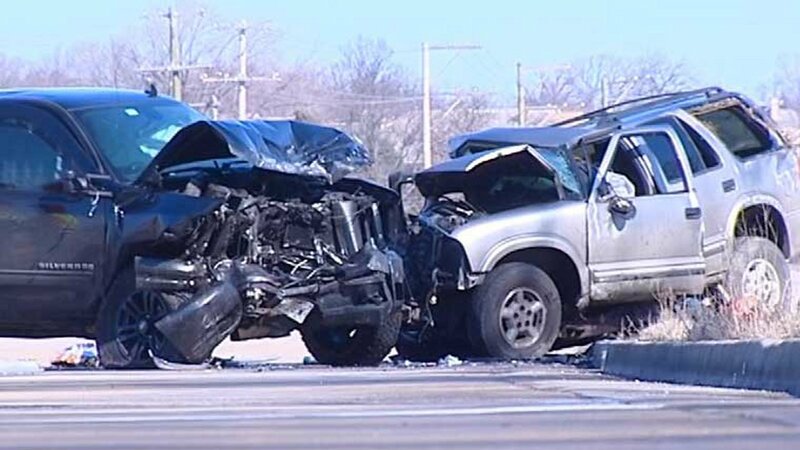 LIBERTYVILLE, Ill. (WLS) -- Two women from Wisconsin were killed and another person was injured in a three-vehicle crash in unincorporated Libertyville. A Chevrolet Blazer was traveling behind a Jeep Grand Cherokee heading south on Milwaukee Avenue (Rte. 21) near Casey Road around 9:03 a.m. Friday when the Blazer struck the Jeep's bumper. The Blazer then went over a raised median and into the northbound lanes of traffic, where it struck a northbound Chevrolet Silverado, the Lake County Sheriff's Office said. The two people in the Blazer were rushed to Condell Hospital in critical condition. THe driver, 34-year-old Dawn M. Eyler, of the 27400-block of 93rd Street in Salem, Wisconsin, died at the hospital on Friday. Her passenger, 22-year-old Alexis J. Thompson, of the 4100-block of 6th Avenue in Kenosha, Wisconsin, died at the hospital on Saturday. The driver of the Silverado was also taken to Condell, with "less serious injuries." The driver of the Jeep refused medical treatment, the sheriff's office said. An autopsy will be performed on Eyler on Monday. Investigators are looking into what caused the crash.